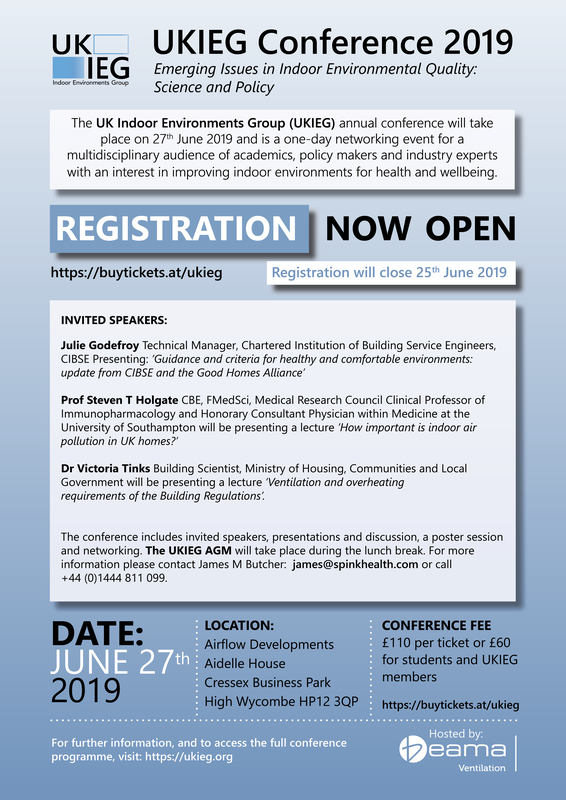 The UK Indoor Environments Group (UKIEG) annual conference will take place on 27th June 2019 and is a one-day networking event for a multidisciplinary audience of academics, policy makers and industry experts with an interest in improving indoor environments for health and wellbeing. The conference includes invited speakers, presentations and discussion, a poster session and networking. 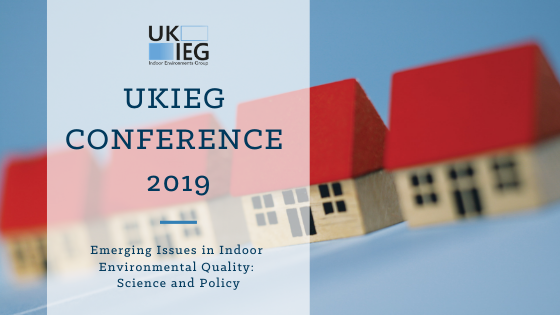 This year’s theme is on ‘Emerging Issues in Indoor Environmental Quality: Science and Policy’ with invited speakers Julie Godefroy, Prof Steven T Holgate and Dr Victoria Tinks. update from CIBSE and the Good Homes Alliance’. Dr Victoria Tinks, Building Scientist, Ministry of Housing, Communities and Local Government will be presenting a lecture on ‘Ventilation and overheating requirements of the Building Regulations’. Call for abstracts! The new extended deadline is 5th April, 2019. Please email your abstract (300 words) using this template to james@spinkhealth.com with the subject title ‘UKIEG 2019’ specifying if you are applying for an oral or poster slot. 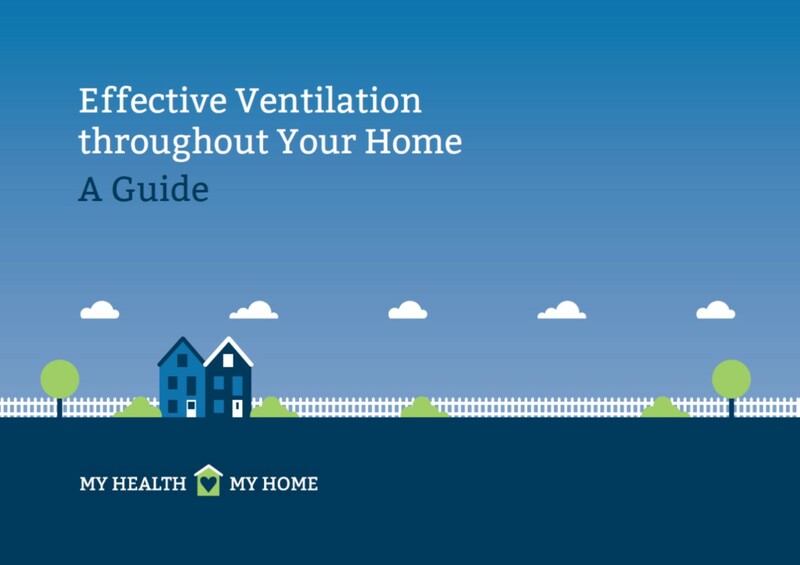 The UK Indoor Environments Group (UKIEG) was launched in 2003, with the aim to co-ordinate and provide a focus for UK activity concerned with improving indoor environments for people. Tickets are now available and can be purchased here. The conference fee is £110 per ticket or £60 for students and UKIEG members.